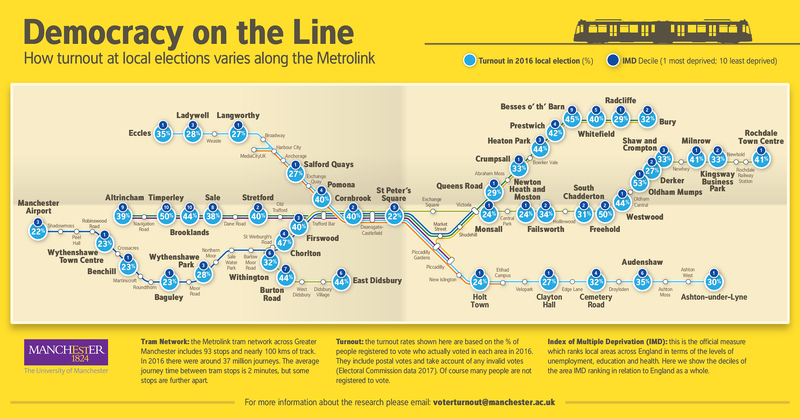 This map, created by Kingsley Purdam and Rob Ford from The University of Manchester, uses the Manchester Metrolink map to show varying levels of voter turnout across Manchester. Turnout in local elections averages around 30%, meaning over two-thirds of people don’t take part. In some cases, the numbers are far lower still: in the 2012 local elections, one ward had a turnout of 13% – some polling districts within wards can record turnouts in single digits. This compares to the 2017 General Election where the lowest turnout in a constituency was 54% and the highest was 79%. In the 2016 local elections the average turnout across wards in England was 34%, the lowest level of turnout in a ward was 16% and the highest level was 53%. But it’s worse than this; some local elections literally go uncontested as only one candidate is standing! Despite what the figures appear to suggest, getting involved in local politics is a lot more important than you might think. Your local council has an impact on many of the services you see and use every day, including housing, transport and public spaces. Choices made by the council will have visible impacts on your community, make sure that you’ve been part of choosing who makes these decisions. The local elections are your chance to can vote for candidates who have a similar vision for the future of your community as you do. It’s also worth remembering that Local councils set the rates of Council Tax for your area, these rates have a direct impact on your income as well as the services in your area. Plus, councillors represent a much smaller group of people than MPs do, that means your single vote is more likely to make an impact on the result. Learn more about the Local Elections: May 2rd 2019! What are local councils responsible for? 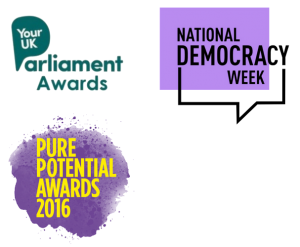 Under the UK’s constitution the responsibilities and powers of local authorities are determined by the central government in Westminster. They include a number of things that you’ll see on your street every day. By getting involved with the local elections you get your say about who should be managing these services.